Cody Wilson of Defense Distributed at his workshop in Austin, Texas, in August 2018. 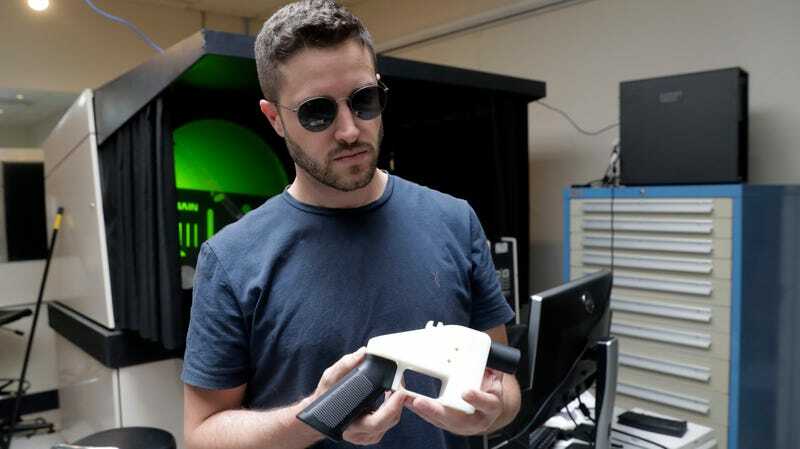 Cody Wilson, the self-identified “crypto-anarchist” CEO of 3D-printed gun organization Defense Distributed, has resigned following his arrest in Taiwan over charges of sexually assaulting a 16-year-old girl in Texas. Paloma Heindorff will serve as the new CEO of the firearm company going forward, having previously served as director of development. Defense Distributed’s case is still the subject of active litigation, but it entails a complicated legal battle between the firm, Donald Trump’s administration, and state prosecutors over whether publishing the small-arms blueprints to the global internet violates federal export controls. While the White House ended a Barack Obama-era lawsuit to keep Defense Distributed’s gun plans off the web, prosecutors in 19 states and the District of Columbia claim that the administration’s settlement with the company violated regulatory rules and circumvented their Tenth Amendment right to regulate firearms. A federal judge blocked Wilson from releasing the blueprints online last month pending the outcome of the case, though Defense Distributed said it would continue mailing the blueprints to interested buyers. As the Verge noted, Wilson is also the founder of Hatreon. That’s the invite-only crowdfunding website set up to allow the various neo-Nazis, white supremacists, and other extremist activists that comprise the so-called alt right to continue collecting donations after they were booted from platforms like Patreon and Kickstarter in the aftermath of a disastrous far-right rally in Charlottesville in 2017. It also hasn’t done so well. Wilson successfully posted a $150,000 bond, though if convicted he faces a maximum sentence of 20 years and could be prohibited from owning guns for life, according to the Times.